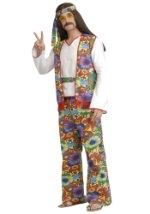 Your folk career is ready to take off in this female 60s singer costume! 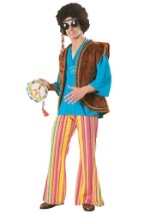 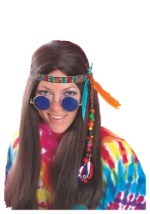 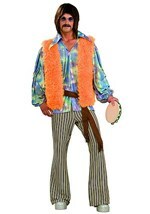 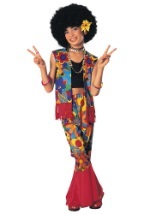 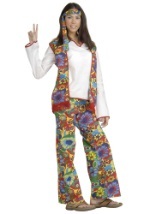 The fun hippie costume comes with a shimmering shirt that is made from 100% polyester. 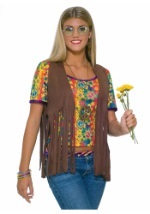 The shirt features an orange bodice that changes colors when reflected in the light including pink, purple, yellow and more. 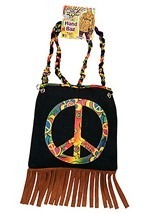 It has a sweet-heart neckline and ties in the back of the waist for a fitted look. 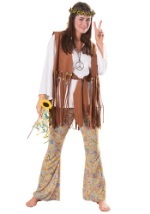 The half, bell sleeves are a shimmering gold and are attached by a collar that crosses the neck and ties in the back. 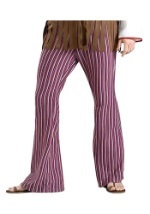 The bell-bottom, polyester pants have white, orange, grey, brown and black vertical stripes and are lined with elastic in the back of the waist for a comfortable fit. 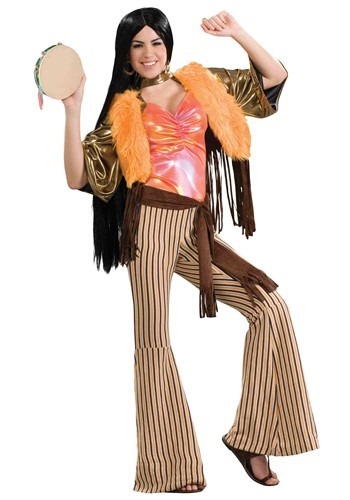 A brown sash wraps around the waist to accent the costume. 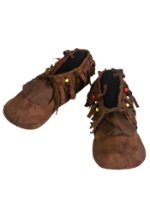 The sash has the appearance of suede and is lined with fringe on the end. A brown vest with a furry, orange front and fringe is worn over the shirt. 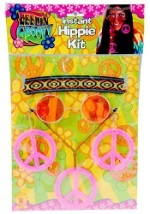 Before hitting the stage, check out our hippie accessories like wigs, handbags and even a tambourine!